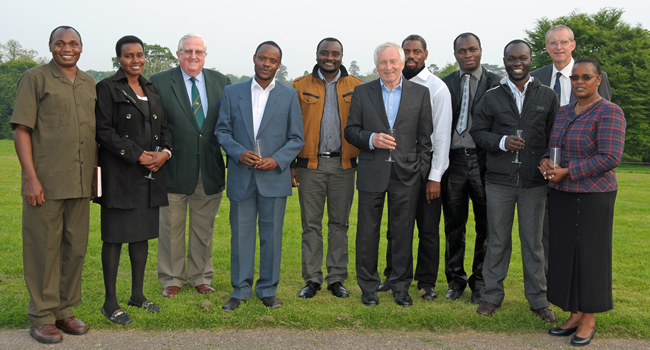 From East Africa to South East Devon; senior managers from agricultural training institutes and rural development projects from Kenya, Tanzania and Malawi have just completed an intensive six week training programme at Bicton College. 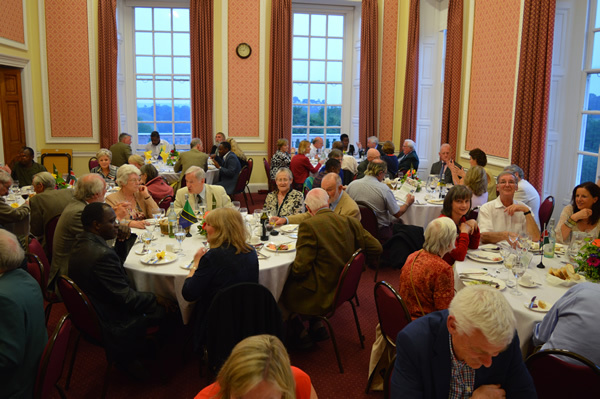 The delegates, who are supported by the Bicton Overseas Agricultural Trust (BOAT), receive key skills in leadership, communication, business and strategic planning, marketing and project management, which they implement and share in their own communities. 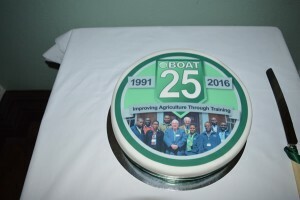 BOAT was formed in 1991 by a group of Devon farmers and the then Principal of Bicton College, who wanted to help people from developing countries to produce more food and improve their livelihoods through training and this year the charity is celebrating its 25th anniversary. 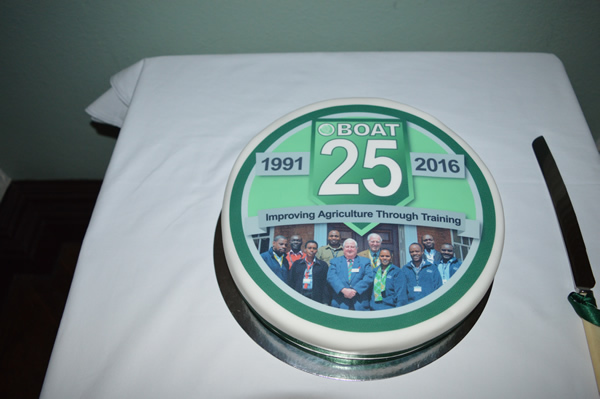 The eight mature students attending the 2016 BOAT course from Kenya, Malawi and Tanzania all work for agricultural training organisations or manage rural development projects. This year graduates on the programme joined trustees for a 25th Birthday celebration dinner at Bicton College. 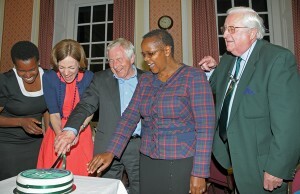 In welcoming guests, the Chairman of BOAT, David Wendover, noted that a number of BOAT Trustees who have spent many years working in the developing world know that management and business skills are lacking as much, if not more, than technical skills in many locally based organisations charged with delivering training and development services to their smallholder farmers and rural communities, particularly in Africa. And it is these locally based and locally staffed organisations which are the prime movers in rural development in these countries. In reply on behalf of the students, the Project Manager of the Biodiversity, Community, Carbon and Livelihoods Project under the Zeitz Foundation in Kenya, Patricia Wangui, mentioned the importance of what the students had learnt on the course and how useful it will be to them in managing their projects or training institutes and sharing ideas with those they will work with in the future. Mr Dimbleby also mentioned his strong affinity to Africa, having reported on the Ethiopian famine, and reflected on the diversity within the continent and the changes that he had seen in the countries throughout the time he had been there. The event also saw founding members of BOAT, Bill Vellacott MBE and Mick Merritt, setting out their vision for the charity in the future. The discussions involved the growing need for business management as a core training objective, with delivery of high quality and sustainable field development services in rural Africa at the heart of the charity’s work.